ve etkili inhaler tedavi ile kontrol altına alınmaktadır. tedaviye rağmen bazı olguların kontrolü zorlaşmaktadır. astım hastalığın ilk yıllarında veya yıllar sonra gelişebilir. olduğu düşünülen hastalar dikkatle değerlendirilmelidir. tanıların dışlanması, fenotipleri ve tedavi yaklaşımları ele alınmıştır. phenotypes and available treatment options. 2. Bavbek S, Misirligil Z; Study Group. 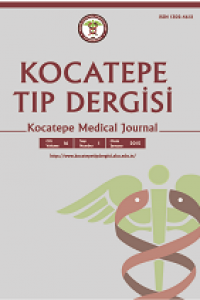 A breath for health: an exploratory study in severe asthma patients in Turkey. Allergy 2008;63(9): 1218-27. 3. Chung KF , Wenzel SE, Brozek JL, et al. International ERS/ATS guidelines on definition, evaluation and treatment of severe asthma. Eur Respir J 2014;43(2):343-73. 4. Bousquet J, Jeffery PK, Busse WW, et al. Asthma. From bronchoconstriction to airways inflammation and remodeling. Am J Respir Crit Care Med 2000;161:1720-45. 5. Miller AL, Lukacs NW. Chemokine receptors: understanding their role in asthmatic disease. Immunol Allergy Clin North Am 2004;24:667-83, vii. 6. Simpson JL, Scott RJ, Boyle MJ, et al. Differential proteolytic enzyme activity in eosinophillic and neutrophillic asthma. Am J Respir Crit Care Med 2005;172:559-65. 8. Kharitonov SA. Exhaled nitric oxide and carbon monoxide in asthma. Eur Respir Rev 1999;68:212-18. 9. Turktas H, Oguzulgen K, Kokturk N, et al. Correlation of exhaled nitric oxide levels and airway inflammation markers in stable asthmatic patients. J Asthma 2003;40:425-30. 11. Robinson DS, Campbell DA, Durham SR, et al. Systematic assessment of difficult-to-treat asthma. Eur Respir J 2003; 22: 478–483. 12. Aaron SD, Vandemheen KL, Boulet LP, et al. Overdiagnosis of asthma in obese and nonobese adults. CMAJ 2008; 179: 1121–1131. 13. Moore WC, Bleecker ER, Curran-Everett D, et al. Characterization of the severe asthma phenotype by the National Heart, Lung, and Blood Institute’s Severe Asthma Research Program. J Allergy Clin Immunol 2007; 119:405–413. 14. The ENFUMOSA cross-sectional Europe an multicentre study of the clinical phenotype of chronic severe asthma. European Network for Understanding Mechanisms of Severe Asthma. Eur Respir J 2003;22(3):470-7. 15. Ten Brinke A, Grootendorst DC, Schmidt JT, et al. Chronic sinusitis in severe asthma is related to sputum eosinophilia. J Allergy Clin Immunol 2002; 109: 621–626. 17. Good JT Jr, Kolakowski CA, Groshong SD, et al. Refractory asthma: importance of bronchoscopy to identify phenotypes and direct therapy. Chest 2012; 141: 599–606. 18. Mastronarde JG, Anthonisen NR, Castro M, et al. Efficacy of esomeprazole for treatment of poorly controlled asthma. N Engl J Med 2009; 360: 1487–1499. 23. Haldar P, Pavord ID, Shaw DE, et al. Cluster analysis and clinical asthma phenotypes. Am J Respir Crit Care Med 2008; 178: 218–224. 24. Sutherland ER, Goleva E, Strand M, et al. Body mass and glucocorticoid response in asthma. Am J Respir Crit Care Med 2008; 178: 682–687. 26. Rabe KF, Atienza T, Magyar P, et al. Effect of budesonide in combination with formoterol for reliever therapy in asthma exacerbations: a randomised controlled, double-blind study. Lancet 2006;368(9537):74453. 27. Scicchitano R, Aalbers R, Ukena D, et al. Efficacy and safety of budesonide/formoterol single inhaler therapy versus a higher dose of budesonide in moderate to severe asthma. Curr Med Res Opin 2004;20(9):140318. 28. ten Brinke A, Zwinderman AH, Sterk PJ, et al. ‘‘Refractory’’ eosinophilic airway inflammation in severe asthma: effect of parenteral corticosteroids. Am J Respir Crit Care Med 2004; 170: 601–605. 30. Ducharme FM, Lasserson TJ, Cates CJ. Longacting beta2agonists versus antileukotrienes as add-on therapy to inhaled corticosteroids for chronic asthma. Cochrane Database Syst Rev 2006(4):CD003137. 32. Spears M, Donnelly I, Jolly L, et al. Effect of lowdose theophylline plus beclometasone on lung function in smokers with asthma: a pilot study. Eur Respir J 2009;33(5):10107. 34. Kerstjens HA, Engel M, Dahl R, et al. Tiotropium in asthma poorly controlled with standard combination therapy. N Engl J Med 2012;367(13):1198207. 35. Bousquet J, Siergiejko Z, Swiebocka E, et al. Persistency of response to omalizumab therapy in severe allergic (Ig- Emediated) asthma. Allergy 2011;66(5):6718. 36. Bousquet J, Cabrera P, Berkman N, et al. The effect of treatment with omalizumab, an anti-IgE antibody, on asthma exacerbations and emergency medical visits in patients with severe persistent asthma. Allergy 2005;60(3):3028. 37. Schumann C, Kropf C, Wibmer T, et al. Omalizumab in patients with severe asthma: the XCLUSIVE study. Clin Respir J 2012;6(4):21527. 38. Reiter J, Demirel N, Mendy A, et al. Macrolides for the longterm management of asthma a metaanalysis of randomized clinical trials. Allergy 2013;68(8):10409. 39. Brusselle GG, Vanderstichele C, Jordens P, et al. Azithromycin for prevention of exacerbations in severe asthma (AZISAST): a multicentre randomised double-blind placebo-controlled trial. Thorax 2013 Apr;68(4):3229. 40. Berry MA, Hargadon B, Shelley M, et al. Evidence of a role of tumor necrosis factoralpha in refractory asthma. N Engl J Med 2006;354(7):697708. 41. Morjaria JB, Chauhan AJ, Babu KS, et al. The role of a soluble TNFalpha receptor fusion protein (etanercept) in corticosteroid refractory asthma: a double blind, randomised, placebo controlled trial. Thorax 2008;63(7):58491. 44. Pavord ID, Korn S, Howarth P, et al. Mepolizumab for severe eosinophilic asthma (DREAM): a multicentre, double-blind, placebo-controlled trial. Lancet 2012;380(9842):651-9. 45. Corren J, Lemanske RF, Hanania NA, et al. Lebrikizumab treatment in adults with asthma. N Engl J Med 2011;365(12):1088-98.